Greta Gerwig and Joel Kinnaman in Daryl Wein's LOLA VERSUS. Photo: Fox Searchlight Pictures. Many of Tribeca's finest filmmaking alumni are set to take Park City by storm at this year's Sundance Film Festival. Here are the early, Tribeca-selected efforts that you need to know. Panos Cosmatos brings a bold, Kubrickian vision to the screen in stunning detail in this sci-fi fable of a young woman imprisoned in an experimental laboratory and the enigmatic scientist who is her captor. Set in a futuristic 1983, Elena finds herself held against her will in a mysterious facility under the watchful eye of the sinister Dr. Barry Nyle. Pushed to her limits, Elena is left with no choice but to navigate an escape from her labyrinthine prison, in the process revealing its hidden secrets. At once creatively futuristic and hypnotically retro, Beyond the Black Rainbow evokes the spirit of classic 1970s and '80s science fiction films through its vintage-inspired chromatic cinematography, elaborate set pieces, and an authentically retro sci-fi score composed entirely on analog synthesizers by Black Mountain's Jeremy Schmidt. With all the makings of a cult classic, Beyond the Black Rainbow is sure to absorb viewers in its unique dystopian futurescape, and marks the trippy, exciting debut of a promising new talent in the science fiction world. As the Chinese government expands its efforts to police the Internet and block websites in the country, the rising tide of censorship has aroused a wave of citizen reporters committed to investigating local news stories. Two such rogue bloggers include Zola and Tiger Temple. When tech-savvy Zola noticed that local newspapers were selectively reporting the news, he took matters into his own hands, posing as a curious onlooker at crime scenes and snapping photos and videos that he posts to his site. Called upon for help by rural farmers and displaced city dwellers alike, Tiger Temple bicycles around the Chinese countryside drawing attention to societal issues in communities that otherwise would not have a voice. Both relevant and timely, High Tech, Low Life probes the burgeoning world of anti-censorship rebels as they risk political persecution to become China's uncensored eyes and ears. As their numbers grow they've begun training the next generation of Internet journalists, ensuring that the truth will be documented—it's just up to the citizens to seek it out. "War is unforeseeable," announces Britain's Minister of International Development, Simon Foster (Tom Hollander), at the opening of Armando Iannucci's wicked political satire In the Loop. With allies the US and Britain secretly on the road to war with a hostile nation, the comment, vague and likely meaningless, nonetheless propels Foster and his team of associates into the center of a firestorm of international controversy. Suddenly charged with choosing alliances within the petty and farcical bureaucratic chaos, Foster attempts to balance his hilariously foul-mouthed hawkish boss on one side, an American State Department pacifist with bleeding teeth on the other, and a deteriorating municipal wall somewhere in the middle. Iannucci adapts his hit BBC comedy series The Thick of It, preserving all of the original's tongue-in-cheek insight and wit, to craft a smart political comedy that pokes fun at the absurdity and ineptitude of our highest leaders. With everyone looking out for number one, and the fate of the free world at stake (but apparently incidental), the hilarious ensemble cast of characters bumbles its way through Machiavellian political dealings, across continents, and toward comic resolutions that are, indeed, unforeseeable. The terrific ensemble cast also includes Peter Capaldi, Anna Chlumsky, Mimi Kennedy, Steve Coogan, and the late James Gandolfini. The great Greta Gerwig stars as Lola, a New Yorker on the verge of 30 who finds herself abruptly dumped mere weeks before her long-anticipated wedding. Single for the first time in eight years, Lola attempts to rebuild with the help of her friends, sweet and supportive Henry (Hamish Linklater) and no-nonsense chatterbox Alice (co-screenwriter Zoe Lister-Jones), only to find that suddenly navigating the unfriendly waters of dating and relationships makes letting go and moving on much more easily said than done. Breakout filmmaking duo Lister-Jones and Daryl Wein (of 2009's Breaking Upwards) infuse this post-breakup spiral story with humor and authenticity, as Lola's missteps accrue and her life begins to fray. Demonstrating how even the best intentions can backfire, likable and quirky Lola is a sympathetic anchor even as she wreaks unintended emotional havoc on her nearest and dearest (including Debra Winger and Bill Pullman as her parents). Ultimately Lola Versus is a film about moving forward, but as anyone who has been through a rough breakup can attest, sometimes moving on means hitting rock bottom first. Utilizing state-of-the-art equipment, Oscar-winner Louie Psihoyos (The Cove) assembles a team of activists intent on showing the world never-before-seen images that will change the way we understand issues of endangered species and mass extinction. Whether infiltrating notorious black markets with guerilla-style tactics or working with artists to create beautiful imagery with unexpected animal subjects, Racing Extinction will change the way you see the world. 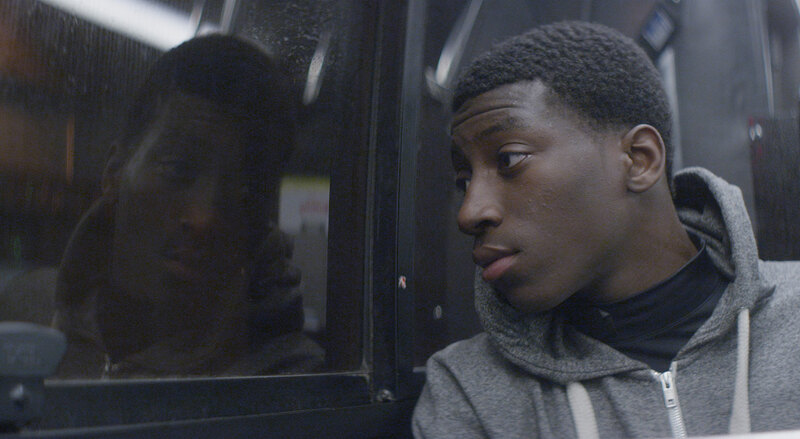 A young black man is tested when his walk home is disrupted by a random stop-and-frisk in this visceral and thematically-urgent short drama.